...and it's fun to pop the bubbles, too. 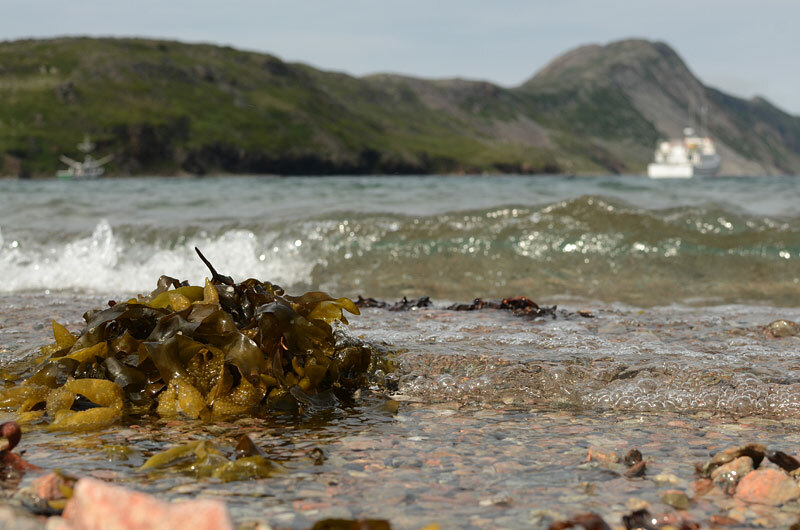 Free-floating clumps of seaweed are common in the open water and along the shoreline in Saglek Fjord. The brown algae shelters small organisms which are a food source for fish and birds. Humans eat it this seaweed too, it's a good source of iodine and other nutrients. Torngats 31 - See You Next Year, I Hope?